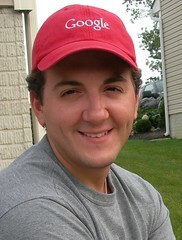 My latest profile picture is of me wearing my Google cap. Check it out. Pretty cool cap? I think so. I've taken it on vacation, worn it on beaches, hung out in bars with it, I even garden and cut my grass with it. What's the big deal? I didn't pay for this hat. If you want, you can buy it here: Organic Cotton Cap - Red. I got this hat from an internship application awhile back while I was in college. I wasn't a great student, I liked school, but I was average going to an average school. The reply to my application was rejection, which is what I figured, but I tried. In addition to the rejection letter, I was also given the hat. I am not sure if Google was just laughing at me and figured I'd have nothing going for myself, so they gave me a hat. Or they just had a boat load of cash they needed to get rid of and wanted to give away free stuff. I am not sure, but I like the hat and I wanted to share my story. Also, thanks for the cap/hat Google. I recently downloaded the Time Warner iPad app (which is pretty sweet) and have been watching TV in my non-TV rooms for work and leisure. I didn't have a stand for my iPad so I would just prop it up. 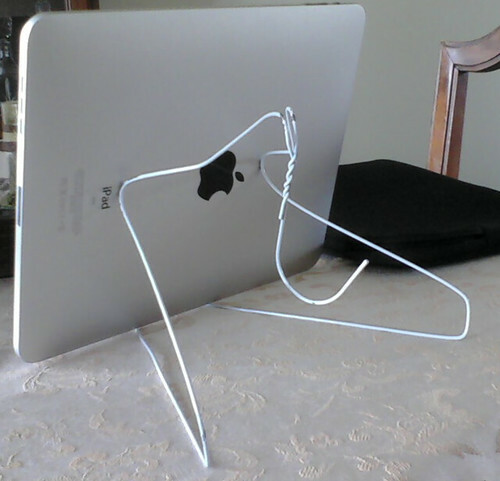 Now I have an iPad stand (thanks to my wife). I recently realized that I should have been taking notes for awhile now. For whatever reason, I assumed that I would be able to retain the most import pieces of my technical career for reuse later when the time arose. What I failed to realize is that details matter sometimes verses conceptual memories. I also failed to realized that I would forget these details quickly due to the amount of work done. Within six months of an implementation, looking back with another teammate asking me why I did something, I really had no idea. My explanation was that I figured it out at the time, got the solution working and moved on to the next chunk of work for the delivery. This is not helpful in the for my fellow teammate, it requires someone to figure out why something was done in order to fix it or reuse the existing implementation. My problem has been that this always works for me, I can quickly figure something out and get moving. What wasn't fair is that someone else had to deal with something I did and I couldn't explain myself well. I felt like I didn't do my part to properly assist a fellow teammate. This is why I want to try to start taking better notes. I thought source files, logs, instant messages, emails, documents, etc, would provide the all the natural reference I would need to create context and meaning. Sort of like "the source code is the documentation". This didn't help. We had all the artifacts, but no context to pull everything together. So, what will I do? I don't know. I will try pencil and paper first, just like in college. I hatted taking digital notes for some reason. The act of handwriting felt more natural to me. There is also Google Notebook which I will try. It seems to work nicely with labels, search and exporting. Regardless of what I do, I suggest this exercise to anyone else as well, regardless of field. Be nice to your colleagues. Every time I talk to new computer users, or even old users, it seems file management is still way too hard. When downloading from the internet, saving, and finding later doesn't make sense, I think some reflection is in order. Does your mom have a computer? Does she have photos? Ask her where they are. Did you just email her a new one? Ask her where she put it. I am betting there is a general confusion. Try explaining to update the default download location. Then send her a video file. Why is it in the photo directory? Maybe just put everything on Facebook? Nope, Facebook won't last forever. The cloud? That will change too. Even for very experienced users, the task is similarly complex. Due to understanding of issues and potential loss, the organization and backup is overwhelming. Spreading data across disks and machines adds even more complexity. Breaking the owner's data between location, even more. Many copies, which one is the active one? Which one needs to be updated? Synchronization isn't fun. I don't know what the answer is for normal people. For me, I just need bigger drives, and I need 2x the base to keep the duplicate copies offline and safe somewhere. I know some media software searches your drives and then presents in the interface better, but this doesn't help the user get better at management of their data. Maybe they shouldn't have to get better, but then again, I bet the every day user is still worried about data loss.